The Printers folder is accessed by navigating to Control Panel and then opening Devices and Printers folder. 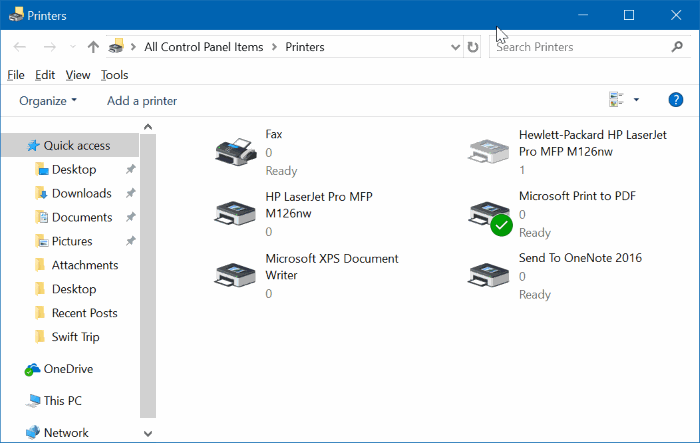 The Printers folder shows all installed printers on your PC and allow you to access various printer settings. 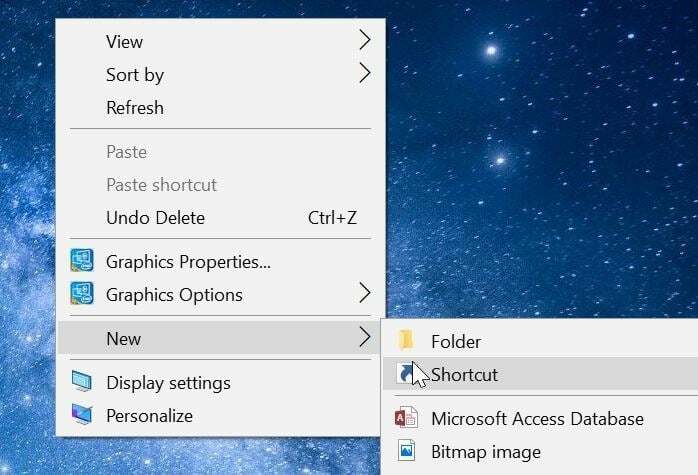 If you often need to open the Printers folder to change printer settings, you can create a desktop shortcut to it or pin it to the taskbar. In this guide, we will see how to create a desktop shortcut to Printers folder, and how to pin Printers folder to the taskbar. 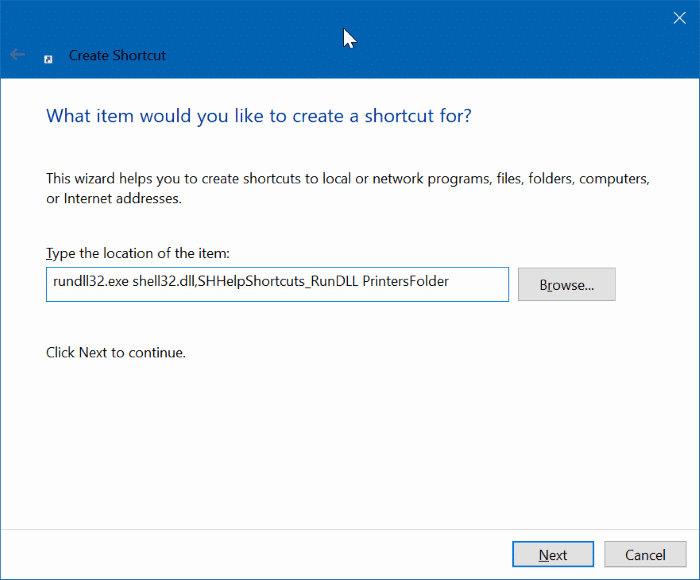 Complete the given directions to create a desktop shortcut to Printers folder in Windows 10. 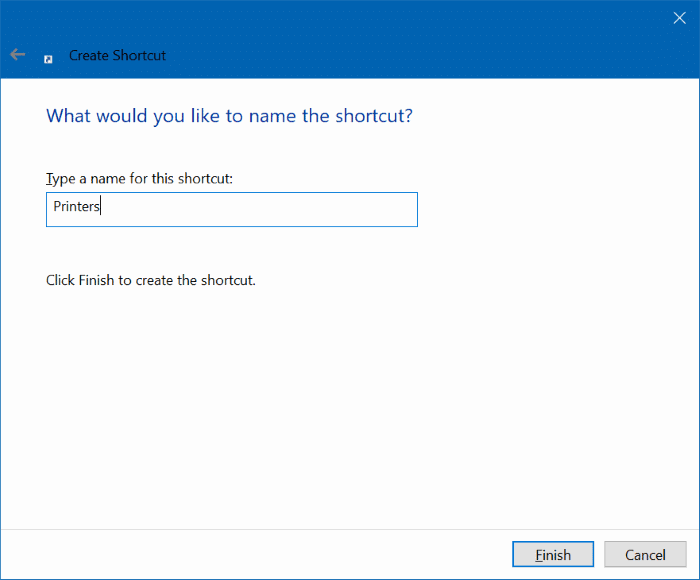 Step 1: Right-click on on empty spot on the desktop, click New and then click Shortcut to open Create shortcut wizard. Step 3: Now, enter a name for the shortcut. We name it as Printers as the shortcut is for printers’ folder. Step 4: Finally, click the Finish button to create the Printer’s folder shortcut on the desktop and close the wizard. You may now click on the new Printer’s folder shortcut on the desktop to open Printers folder. As you can see, the new shortcut doesn’t have a relevant icon. So, let’s change the icon as well. Step 5: Right-click on the new Printers folder shortcut on the desktop and click Properties to open its properties. Step 6: Under the Shortcut tab, click Change Icon button. Clicking Change Icon button opens a new dialog. 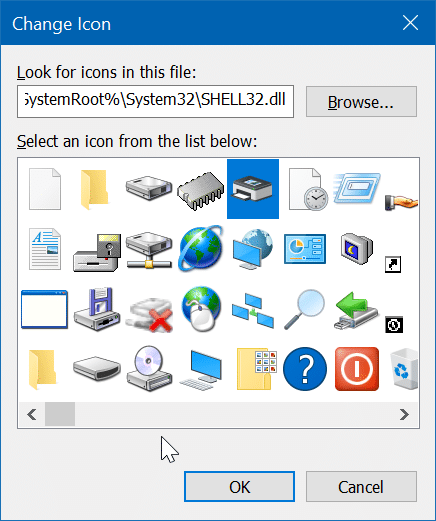 Here, type %SystemRoot%\System32\SHELL32.dll in the field and then select a printer icon. Click OK and then click Apply button. That’s it! You now have added printer icon to Printers folder shortcut on your desktop. 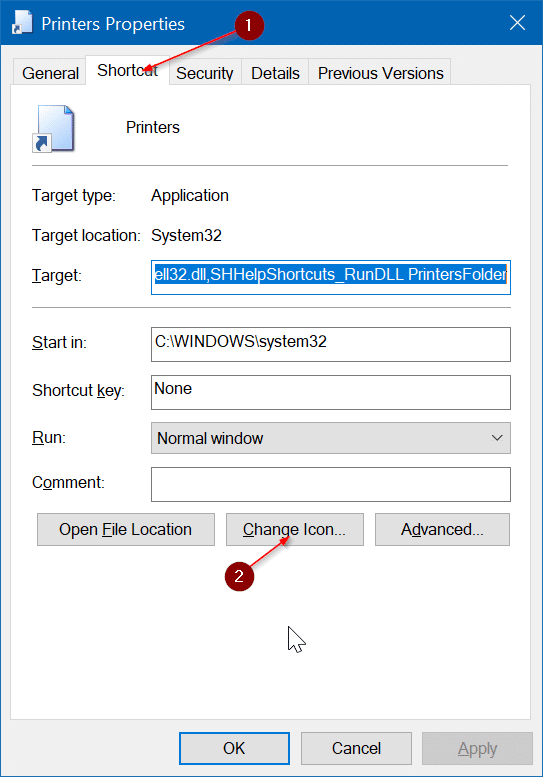 Step 1: Follow the instructions given above to create Printers folder shortcut on the desktop. 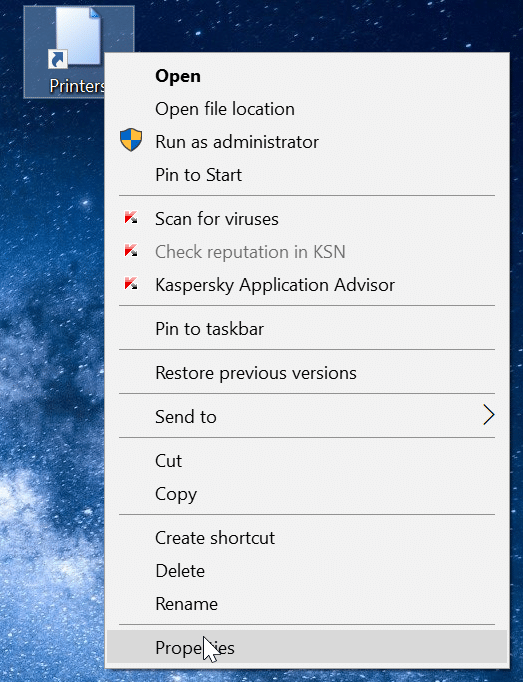 Step 2: Drag and drop the Printers folder shortcut to the taskbar area to pin to the taskbar. Thanks! I really like this view of the printers. I imagine MS might disable this in the feature updates to come and force users on to the ‘new settings’ look, so I’ll enjoy it while I can.